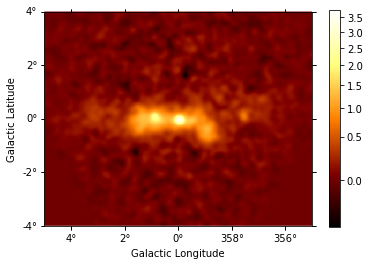 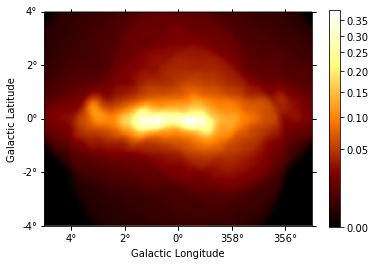 This tutorial shows how to run a 3D map-based analysis using three example observations of the Galactic center region with CTA. 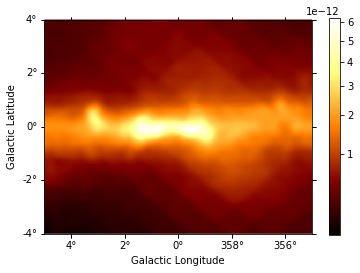 Apparently our model should be improved by adding a component for diffuse Galactic emission and at least one second point source. 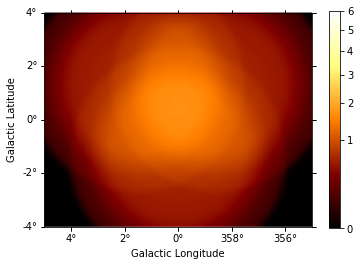 But before we do that in the next section, we will fit the background as a model. 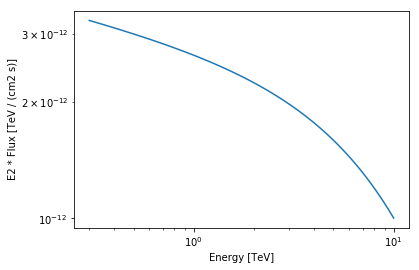 We see we have a high normalisation of 2.15 in this case. 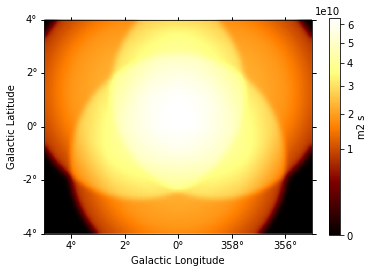 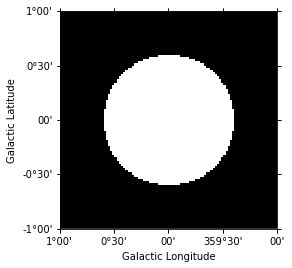 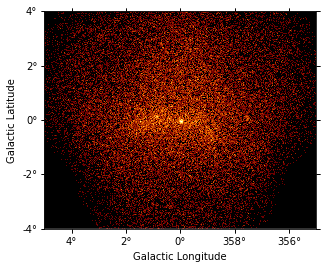 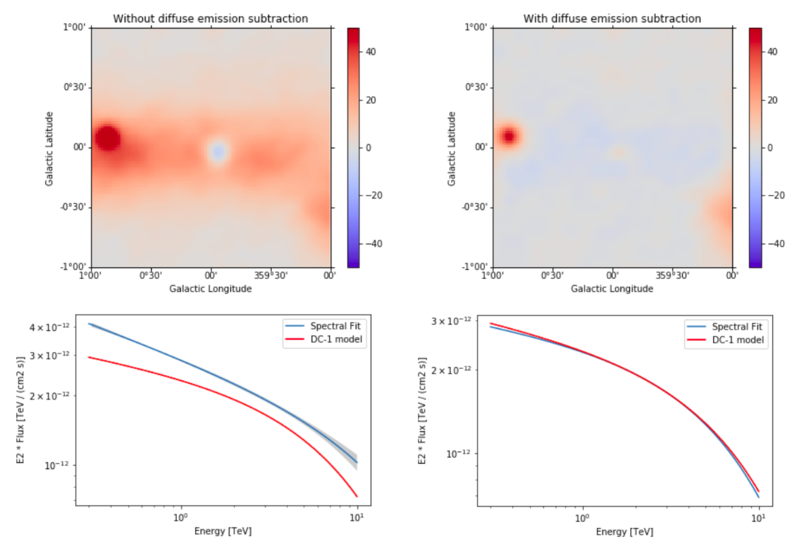 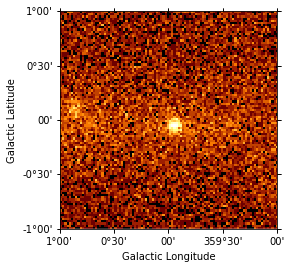 In the next section, we add the galactic diffuse model to improve our results. 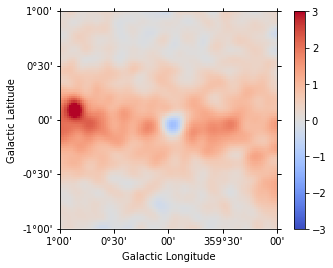 We use both models at the same time, our diffuse model (the same from the Fermi file used before) and our model for the central source. 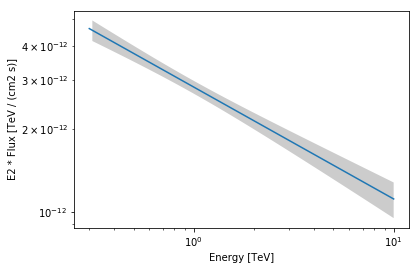 This time, in order to make it more realistic, we will consider an exponential cut off power law spectral model for the source (note that we are not constraining the fit with any mask this time).